Vidarbha agriculture crisis is no recent news in the country. The region has seen farmers resorting to suicides due to mounting loans from banks and Sahukar because their cotton and sugarcane crops failed to generate income for over a decade now. 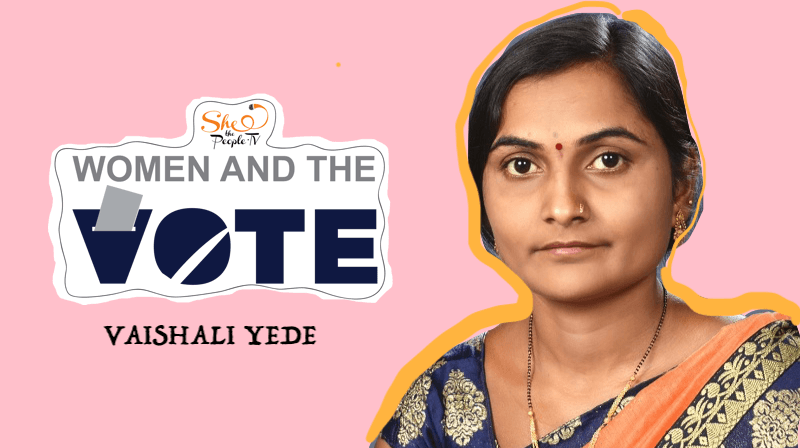 While the young and old widowed women marred by the circumstances have been missing from the narrative for long, 28-year-old Vaishali Yede, who became widowed because her husband committed suicide, is the first one to raise her voice against the overarching injustice. 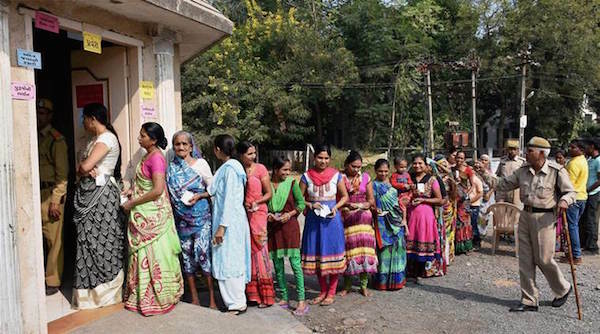 The farmer’s widow is contesting in the ensuing Lok Sabha Election from Yavatmal-Washim constituency in Maharashtra. 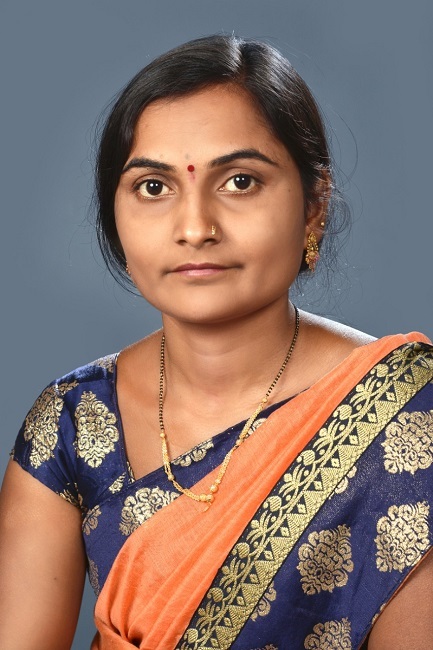 Regional party Prahar Janshakti Paksha, led by independent MLA Omprakash Babarao Kadu aka Bacchu Kadu, decided to give a ticket to a farmer widow this time to amplify their concerns in the parliament. They fulfilled their promise by fielding Yede from the constituency that’s seeing a total of 24 candidates in the fray. 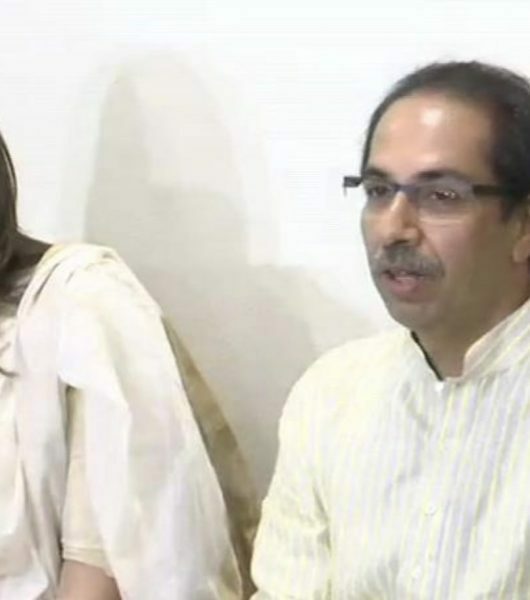 Her main tussle is with Manikrao Thakre of Congress and Bhavana Gawali of Shiv Sena, she tells SheThePeople.TV in a telephonic conversation. 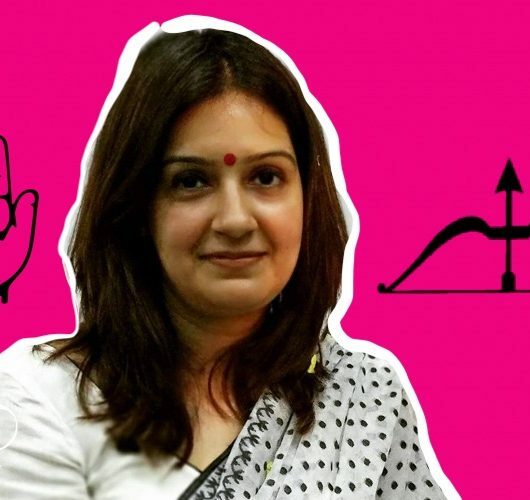 She claims that her party, Prahar Janshakti Paksha, has been aiding farmers across Vidarbha for years now and so it has gained a distinct popularity among the crowds. “If Prahar goes to the parliament through Vaishali Tai then it will mean big change for the people here. Prahar mein utni taakat hai… Aur Vaishali Tai mein bohot confidence hai ki wo paristhiti ko madd-e-nazar rakhke saamne wale aadmi se baat kar sakti hain (Prahar is strong enough… and Vaishali has the confidence to speak with anyone keeping the circumstances in her mind),” said Nilesh Bhoyar, Vaishali’s coordinator and member of Isar NGO which focuses on helping the farmers’ widows through legal aid. Vaishali grew up in a small village called Dongar Kharda where she lived with her parents who were labourers. She studied till 10th grade before she was married off. Her husband had nine acres of land which seemed like a viable prospect for her parents. So, she got married to Sudhakar Yede in 2009 at 18 years of age. She moved to Rajur village where she now lives with her two children (nine-year-old boy and seven-year-old girl). However, only after two years of her marriage, Sudhakar killed himself by drinking poison in October, 2011 when his cotton and sugarcane crops failed twice in a row. He had accumulated bank loan and loan from Sahukars which he wasn’t able to pay off. “I worked with my husband on the farm but the crops did not reap for two years, Sahukars started mentally torturing my husband. I had gone to my parent’s house in that duration and one day he came to meet me. After that he killed himself,” said Vaishali. “I paid off some of the loan with the little jewellery I owned and from the one lakh rupees I received under the government scheme to compensate the family affected by farmer suicide. After that, I lived with my parent for a year and a half where I used to do tailoring work for the women living in my neighbourhood. Meanwhile, I came across an opening with the Anganwadi program,” she recollected. Since 2013, Vaishali has been working as an Anganwadi worker where she started at a salary of Rs 2,000 in the beginning which has now gone up to Rs 3,500. 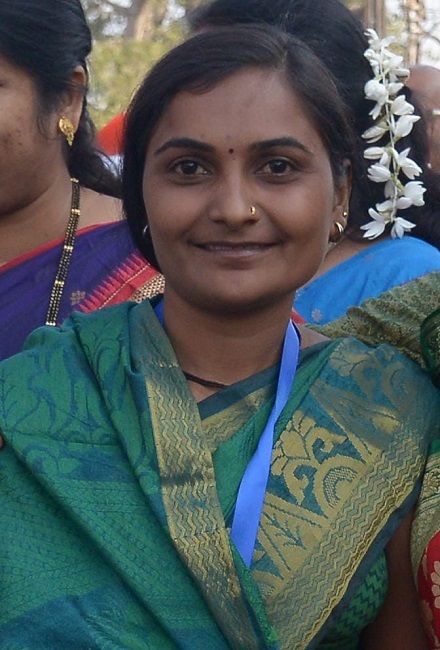 Vaishali Yede is the first ever farmer’s widow contesting in the ensuing Lok Sabha Election from Washim-Yavatmal constituency. Talking about how she came about contesting for the constituency, she said, “In January, 92nd Akhil Bharatiya Marathi Sahitya Sammelan, a literature festival, happened in Yavatmal and they invited me to give the inaugural speech. I realized that I needed to speak up in front of so many people about the atrocities I and many women like me deal with every day because of farmer suicide. It was after that that Bacchu bhau decided to field a farmer’s widow for the Lok Sabha constituency and they came to me with the ticket. “I left home for canvassing on 28 March by the local transport but I knew that I cannot campaign while travelling on a bus. After that I took only one car on rent to commute to different places from the crowd-funding. 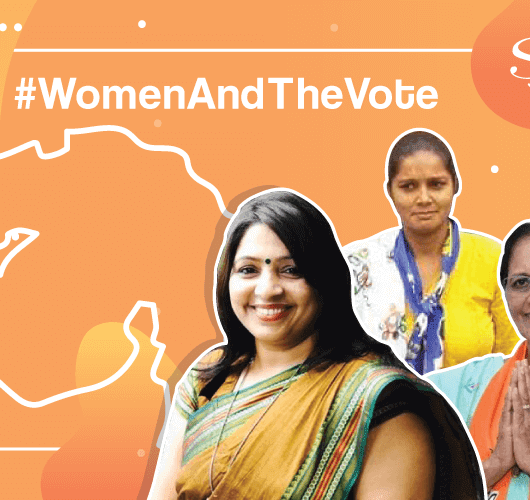 Since Vaishali doesn’t have enough means for canvassing, she is crowd-funding it from across the country as empathizers and farmers are contributing anywhere between Re.1 and Rs.51,000. She has collected five lakh rupees so far. “I left home for canvassing on 28 March by the local transport but I knew that I cannot campaign while travelling on a bus. After that I took only one car on rent to commute to different places from the crowd-funding. Apart from that Bacchu bhau comes along with me in his own car and the other 15-16 cars belong to the people who come on their own accord from different states,” she added. Vaishali cultivated a seed of revolution by coming into the mainstream with her story of suffering rising from the agrarian crisis. 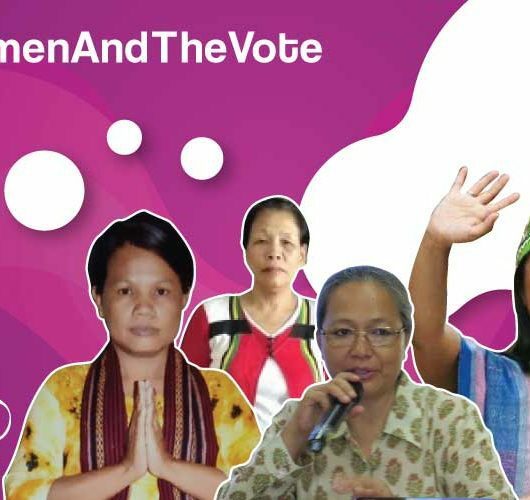 There are several other women who are now dependent on Vaishali’s victory to have their voices heard too.